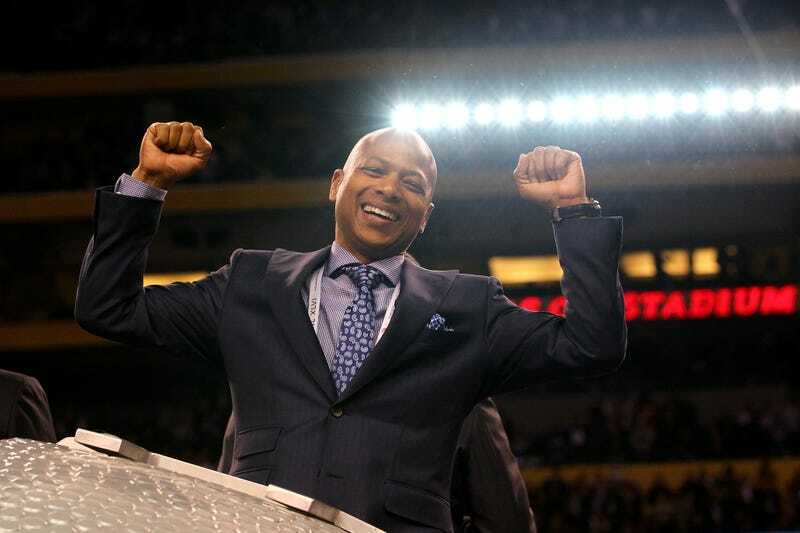 NFL executives usually mutter boring win-now quotes when a microphone is in front of their face, but New York Giants general manager Jerry Reese's approach on Saturday criticized a team that still contains a majority of key players from a Super Bowl win two seasons ago. "All I know is that we've been in the playoffs one time in the last four years and that's really not acceptable for us," Reese said before the team's first practice of camp. "That's not our standards. That's not what we shoot for. We want to put everybody on notice, myself, everybody is on notice that that's not our standard." Reese is talking about the Giants who won two Super Bowls in five seasons, right? There might be added pressure to get to Super Bowl XLVIII since it'll be played at MetLife Stadium, but disregarding the team's success from just two seasons ago? Yes, the 9-7 Giants lost five of their final eight games last season and narrowly missed a playoff spot, but the team still has Eli Manning, excellent receiving options in Hakeem Nicks and Victor Cruz, and an intimidating pass-rush. Maybe Reese feels uncomfortable at watching other NFC East teams reload—Chip Kelly's plans with the Eagles and potentially explosive Redskins' offense, particularly—but he needs to chill out. The Giants are nowhere near as disappointing as the Jets.